Award Year: 2008 When is Alzheimer's disease (AD) a diagnosis and when is it a prediction? As we develop new tests to identify a person's propensity for the disease, and as we expand the definition of Alzheimer's to include patients with "preclinical AD", "prodromal AD", and mild cognitive impairment, we blur the line between diagnosis and risk assessment. With that comes the potential to harm patients and to overburden our system by treating what is actually normal, age-related cognitive change. Jason Karlawish, M.D. explores how our understanding of brain aging is changing and raising controversies. In his project, The Making and Unmaking of Alzheimer's Disease, he examines issues such as disagreements among experts about how to define and treat dementia, the use of neuroimaging, Medicare reimbursement for PET scans, genetic testing, healthy brain initiatives, and the emerging market for brain fitness activities. Dr. Karlawish considers the actors involved - from clinicians, researchers, and pharma to advocacy organizations, patients, and families - as well as the ethical, economic, and policy implications of changes in how AD is defined and measured. The project's results will contribute to policy debates about the value of costly testing, preventive treatments, and public health initiatives to maintain brain health. Jason Karlawish is a professor of medicine and medical ethics, and senior fellow of the Center for Bioethics and the Leonard Davis Institute of Health Economics at the University of Pennsylvania. He is the associate director of the Penn Memory Center and the director of the Alzheimer's Disease Center's Education, Recruitment and Retention Core. His clinical practice focuses on the diagnosis and treatment of persons with Alzheimer's disease and related disorders. He serves on the board of directors of The Greenwall Foundation, the largest foundation dedicated to supporting research in bioethics. Doctor Karlawish's research focuses on ethical issues in human subjects research and the care of older adults with cognitive impairment. His research investigates issues in dementia drug development, informed consent, quality of life, research and treatment decision- making, and voting by persons with cognitive impairment and residents of long term care facilities. 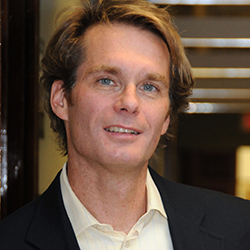 He is the recipient of a Greenwall Faculty Scholar in Bioethics, and the Paul Beeson Award. He has disseminated his work in testimony to the Senate Select Committee on Aging and the Department of Health and Human Services Subcommittee on the Inclusion of Individuals with Impaired Decision-making in Research, and collaborates with the American Bar Association, American Association of Retired Persons, the Department of Housing and Urban Development, the State of Vermont, the U.S. Election Assistance Commission, FINRA and the U.S. Government Accountability Office. Karlawish, J. How Are We Going To Live With Alzheimer’s Disease? Health Affairs. 2014; 33(4):541-546. Karlawish, J. Addressing the Ethical, Policy and Social Challenges of Preclinical Alzheimer Disease. Neurology, 2011, 77. Meisel, Z., Karlawish, J. Narrative vs Evidence-Based Medicine-And, Not Or. JAMA, Nov 9 2011, 306(18): 2022-2023. Karlawish, J. Desktop Medicine. JAMA, Nov 10 2010, 304(18): 2061-2.